Southern Mom Loves: Indoor Activities to Do with the Kids This Winter! 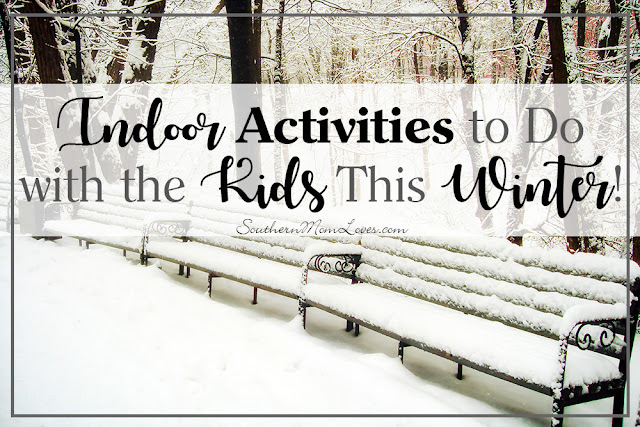 Indoor Activities to Do with the Kids This Winter! Kids usually love winter with it's fun holidays and snow to play with, but when the holidays are over and the snow is melted into slush (or you're just plain snowed in!) 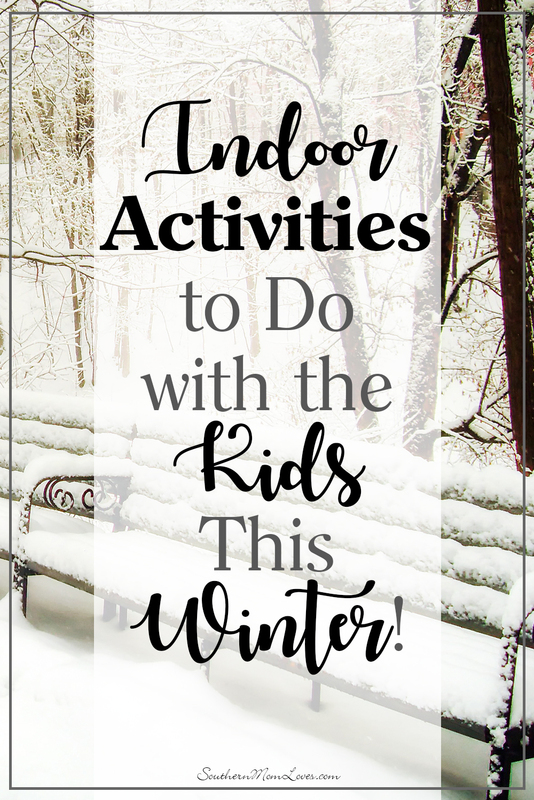 I've got a great bunch of ideas to help keep the kids busy on those cold winter days when you need to have some indoor activities ready to go. 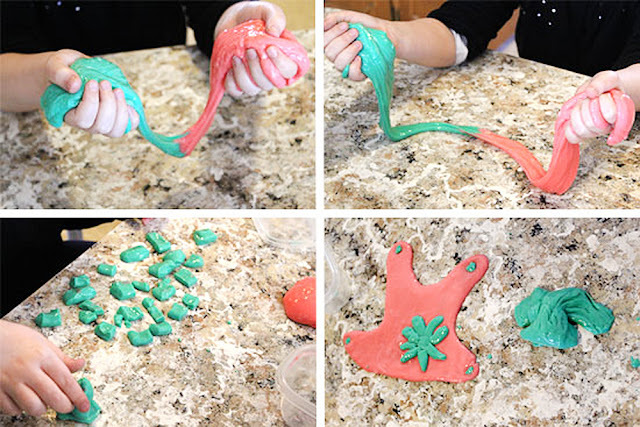 Kids absolutely love slime and it’s so easy to make. You just need a few basic ingredients and you can actually find them at your local Dollar Tree. However, if your kids really get into making slime, you should consider buying glue by the gallon to save even more money. Have fun making different colors and adding different things to the slime, such as foam beads, glitter, or small plastic toys. Check out my slime recipe here to get started! Another fun thing you can make with Dollar Tree products is a relaxation jar. All you need is a mason jar, glitter glue, water, and lots of glitter. Fill the jar halfway with water and then add a good squirt of glitter glue. Stir the ingredients around until the glue mixes with the water. Add at least two heaping tablespoons of loose glitter to the mixture and fill with water. Stir really well and add the lid. Shake the jar and watch the glitter swirl around. It’s both fun and relaxing. There are so many ways to build a maze. This is actually a great way to use up leftover cardboard. The kids can cut up old cereal boxes and decorate them for the maze walls. A piece of foam board would make a great base for the maze. This takes time to layout because you need to make sure the maze has a path that leads out. Do your kids love to tell stories? Sit down with your kids and write a book. If your kids are little, it can be a picture book. Older kids can work on chapter books. If you really want to motivate your kids, tell them they can publish the book on Amazon once they’re done. Amazon is so easy to publish on and it might make some pocket change for the kiddos. A great way to teach kids about money is to open a store in your own home. You can find play money in almost any toy department. Set a price for items around your home and let your kids go shopping. This will teach them how to pay for things and how much money is worth. You can purchase small toys and candy if you want to set up a store with a few fun items for them to buy. Kids love Legos and other building bricks and what’s not to love? You can build anything your heart desires! While Lego character sets are popular, it’s so much cheaper to buy boxes of random pieces. This encourages them to be creative, too. However, if your kids already have Lego sets, see what they can build from the pieces of a set. It’s so much fun to see what else can be built with those pieces. 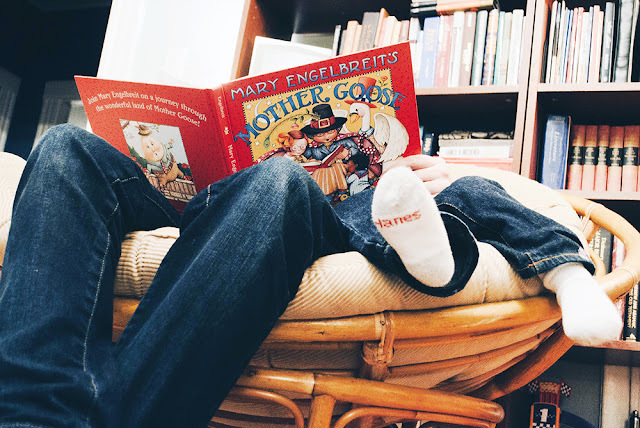 Instead of suggesting that your kids go read a book to occupy their time, why not suggest you read a book together? You can find so many free books on Amazon, Barnes & Noble, and some libraries even have free ebooks to download. Choose a book and take turns reading it aloud. Children are sponges for new information, but not all information is interesting to them. Ask them what they would like to learn about. You can then spend time online researching it. You may even be able to find documentaries on Netflix on the subject. Crafts allow children to be creative. There are so many things you can teach your kids. They can learn cross stitch, knitting, crochet, painting, drawing, etc. 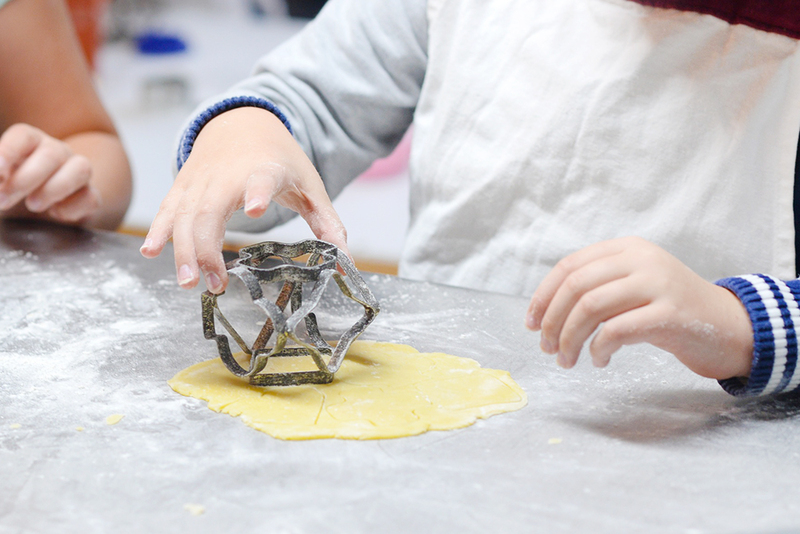 If you have a craft you love, try teaching it to your kids. You can also find a number of tutorial videos on YouTube. If your kids are into kits, check out this list I made of 45 Rainy Day Craft Kits for Kids! Did you know that cooking and baking is educational? 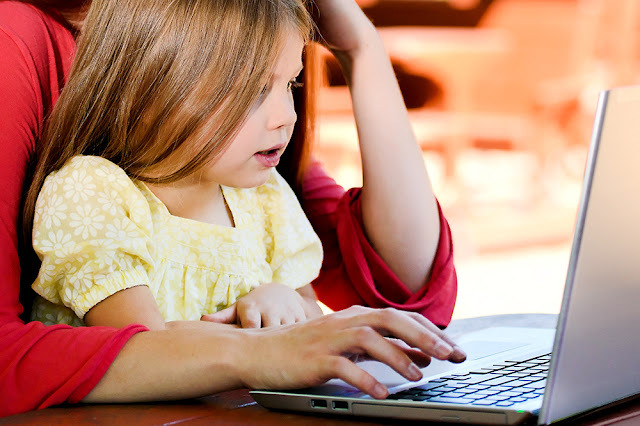 Not only are you teaching your kids an important skill, but they can practice their math and reading skills as well. There are so many quick, fun, and easy recipes you can make with your kids, but cookies and pizza are almost always winners. Games can be very educational and fun for kids. What’s even more fun is creating an edible edition of a game. For example, you can use chocolate graham crackers, frosting, and mini M&M’s to create edible dominos. You can also use different round candies when playing Hungry, Hungry Hippos. Let your kids be creative and see what they come up with. How is the weather where you are? Are you having trouble keeping the kids occupied? I love to read your comments!